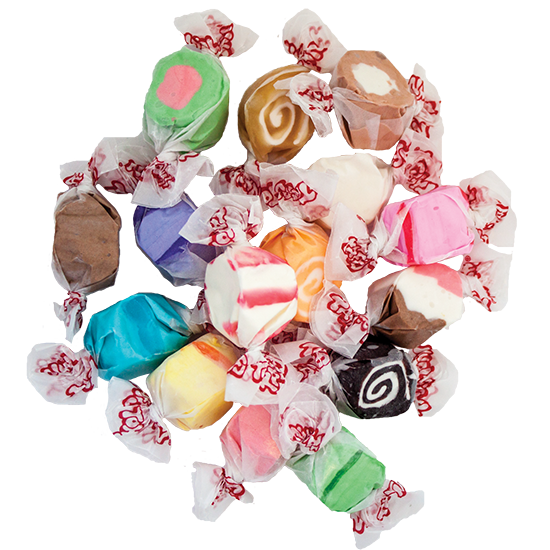 Assorted – Can’t decide which delicious taffy flavor you want to take home with you? Try our perfect selection of assorted taffies. Flavors include: Banana, grape, orange cream, peppermint, raspberry, watermelon, caramel swirls, cherry, chocolate, green apple, licorice swirls, Neapolitan, cinnamon, root beer float and vanilla.